I’ve known Joe Mullings for about two decades. I met him years ago when he signed up for my SPEAR:PDR Trainer course. He was a standout in the class, not just physically, he had penetrating questions about the psychology - he was fascinated with mindset - I knew we would become friends. Over the years our professional relationship turned personal and now, years later, he's not just a close friend but he's become a business mentor helping me balance the art and science of what I love with the realities of scaling and growing a business, something Joe has finessed. 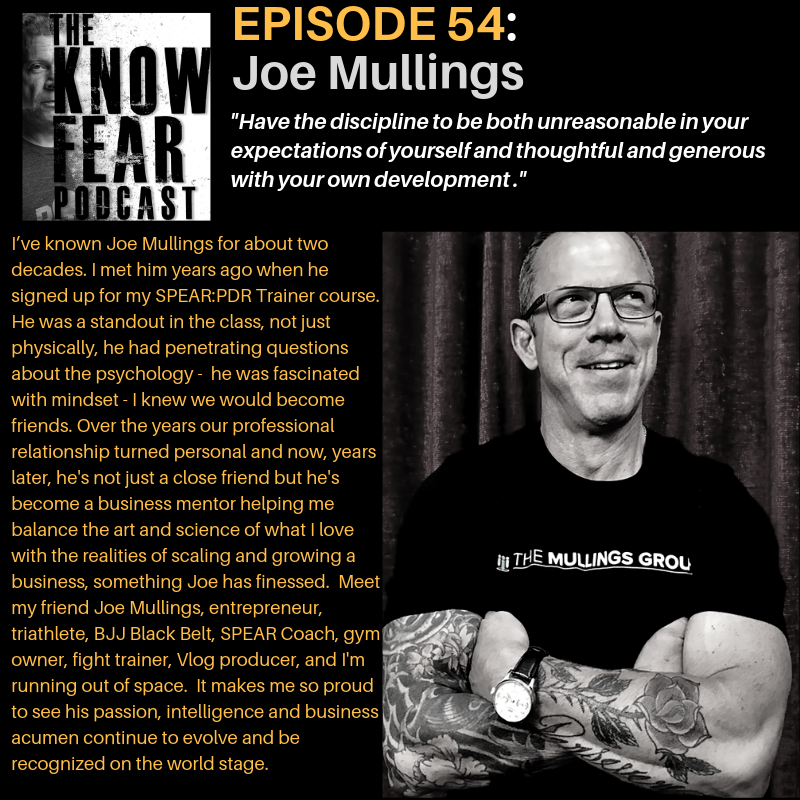 Meet my friend Joe Mullings, entrepreneur, triathlete, BJJ Black Belt, SPEAR Coach, gym owner, fight trainer, Vlog producer, and I'm running out of space. It makes me so proud to see his passion, intelligence and business acumen continue to evolve and be recognized on the world stage.